Welcome to the 2012 City of Albuquerque Progress Report. 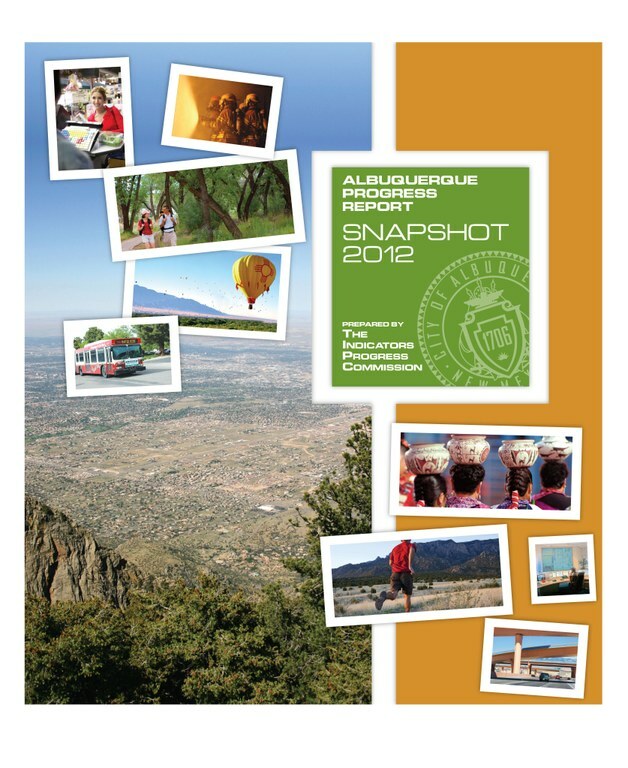 Read the 2012 report of the Albuquerque Progress Report. Pursuant to ordinance, the Report is updated every two years. View the 2012 Snapshot Report.